You step outside; the air is cold, crisp, and fresh. Mist rises in front of you as your first breath hits the clear winter air. You squint a bit – the sun is bright, all the more so due to the glare of blinding, white snow. It’s all waiting for you to get out there and tear it up in Northeastern Ontario’s heartland. 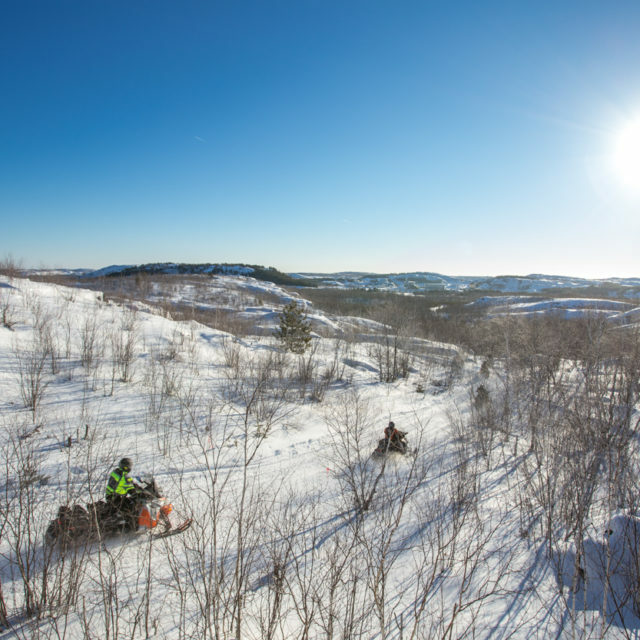 It’s home of one of the most reliable snowmobiling seasons in Eastern Canada, and it’s calling your name. Riding – it’s more than a hobby, it’s a way of life. 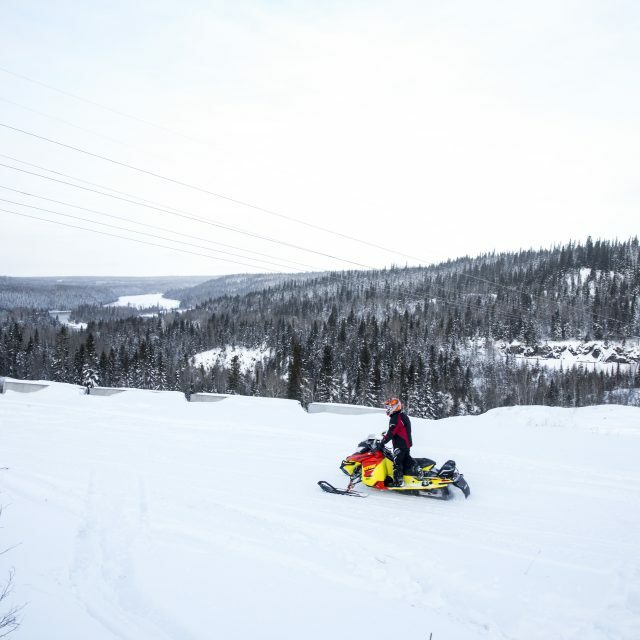 Considered by many to be the World’s Best Snowmobiling Destination, this is one of Northeastern Ontario’s premier snowmobiling terrain. You’ll wind through the towering boreal forests and endless snowscapes that the communities of Timmins, Cochrane, and Temiskaming Shores are known for. The winner will receive a prize package for two people: three nights of accommodations – one night in each participating community. Contest closes January 31, 2019 at 11:59 pm EST. Contest prize must be taken during the 2019 riding season, or will be forfeited. 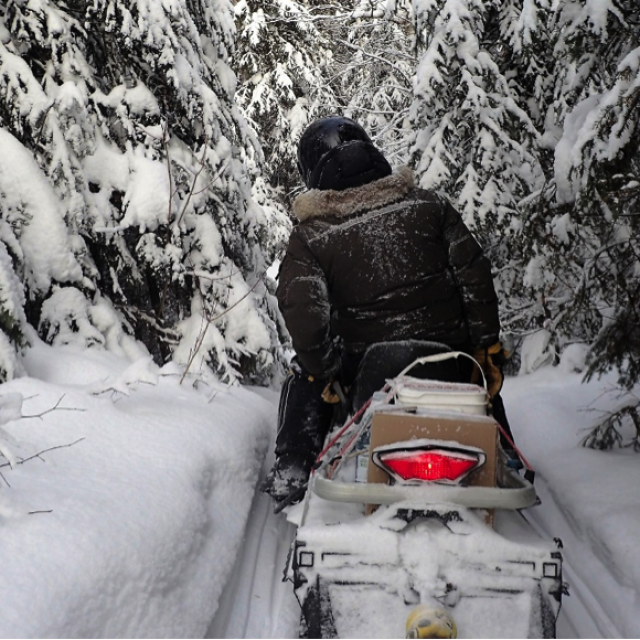 Ontario Federation of Snowmobile Club (OFSC) Trail Passes are not included. Alcohol is not included, and we promote responsible riding at all times. Entrants must be Canadian or American citizens. Travels costs to the destination are not included. Contest winners must abide by all Ontario and OFSC rules and regulations at all times. If you choose to receive more information, your contact details will be shared with affiliate partners Tourism Timmins, the Town of Cochrane, and the City of Temiskaming Shores. The contest is now CLOSED. Thank you to everyone who participated, and check back here to find out who was the lucky winner! Find Packages and Experiences Along Your Way!